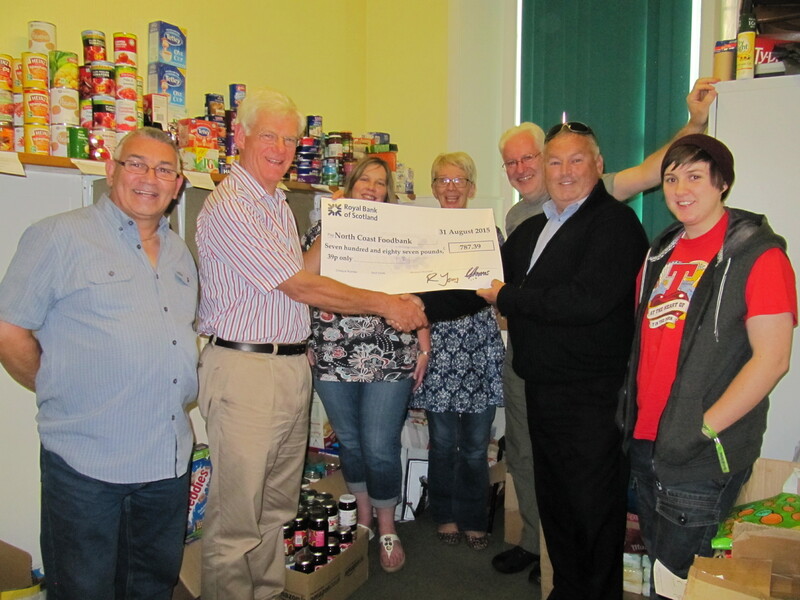 Following a successful fundraising year, Chris Evans as Treasurer to St Columba’s Episcopal Church, is seen handing over a cheque for nearly £780 to the North Coast Food bank. This should help support their valuable work in assisting those in need in our local community. Chris stated that our fundraising efforts and especially our four car boot sales had been well supported by the local community and this was a chance to repay some of that generosity. Michael Hynds was very pleased to accept the cheque and said that this would allow the Largs Foodbank Distribution Centre to continue to operate; which is open every Thursday between 12 noon and 6.00 pm.